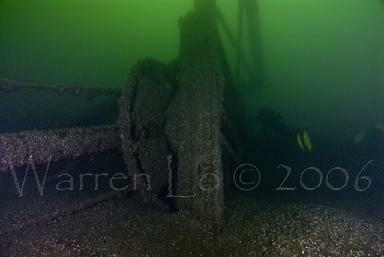 The Munson was a dredging barge built in the early 1880’s and operated out of Belleville. In April 1890, it was in Kingston to do some dredging to ensure adequate depth for the launching of the Minnedosa, the largest Canadian sailing ship ever built on the Great Lakes. On Wednesday April 30th, 1890, it was being towed back to Belleville but when it reached Lemoine Point, slightly west of Kingston, it started taking on water and quickly sank to a depth of 112’. The vessel was valued at $15,000.00, which was a sizable amount for 1890. The Munson measures 80’ x 30’ and sits completely upright. The upper deck has a nice assortment of pottery and dishes laid out along side the electric generator. Also present on the upper deck is a 19-piece collection of blacksmith forging tools. Below deck along the starboard side is a workbench and many tools are on display such as open end wrenches, saw’s, hammers, pipe wrenches etc. The main attraction is the huge bucket located at the stern. The visibility can average anywhere between 30’to 70’. This site is very well protected by Preserve Our Wrecks and all drivers are asked not to touch any of the artifacts due to the fragile state that most are in. (ALOHA)This schooner-barge was built in Mt Clemens, Michigan in 1888 and measured in at 173’ in length and 32’ in width. On October 28th, 1917, it got caught in a terrible storm about 1-½ miles north of the Nine-Mile Point Lighthouse where it foundered. The only fatality was its Captain, 76 year old Daniel McVicar. It was located in 1964 in 55’ of water. 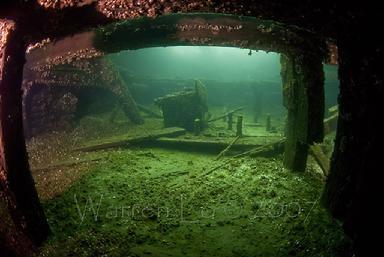 It is about 80% intact and is the only quality shallow shipwreck that Kingston has to offer. Its shallow depth means it’s an incredibly warm dive for most of the season and during the warm month of August, it’ll be swarmed with fish life, the ultimate artificial reef. For the most part, the visibility averages a constant 50’. (EFFIE MAE) This 40’ wooden vessel was both built and launched in 1968. In 1982, it finally found a home in Kingston and began its career as a dive charter boat. It enjoyed many years of success prior to Kingston really taking off in the diving industry. In 1987, Ted Walker became the new owner and continued providing the same good service. In 1990, Ted’s job forced him to transfer to British Columbia. A recession was now in progress and Ted was unable to find a buyer so he stripped the boat of anything that could be sold and donated the hull to Kingston’s Marine Heritage organization known as Preserve Our Wrecks (POW). Under the guidance of then POW President Ken Mullings, the boat was made environmentally safe and in October 1993 was sunk along side of the Aloha. It was decided that this would be a more suitable ending to its career. It provided a useful purpose on the surface and now does the same underwater. 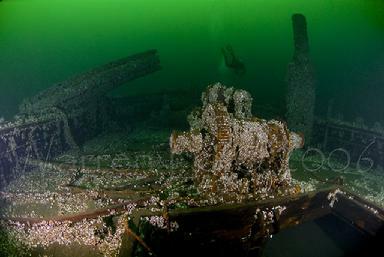 This ship is not considered a shipwreck but an intentional dive site. The Canadian Federal Government had this 164’ ship built in Collingwood, Ontario in 1946. The intention was to give it to China to assist in the post war recovery but China soon fell to the Communists and the deal was off. It was then converted to a car carrying ferry and found its new home in Kingston. It remained on active service until retired in 1976 when replaced by the Wolfe Islander III. It was sunk in a protected area three miles east of Kingston on Saturday September 21st, 1985. It now sits perfectly upright at a depth of 80’ and offers something to all levels of divers however penetration is not advised. All doors and hatch covers were removed prior to sinking for diver safety. The visibility can be anywhere from 10’ to 70’ depending on the surface conditions. This ship was built at Deseronto, Ontario in 1878 and measured 100’ in length and 25’ in width. In May 1923, this ship was sailing in the North Channel between Amherst Island and slightly west of Bath when old age finally caught up to it. At 45 years old, many of its seams simply opened up and the water poured in. All hands had plenty of time to take to the lifeboats and get safely off. 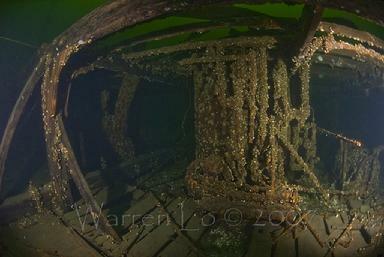 It now sits in 70’ of water in a remote location to all the other wrecks and for this reason, very seldom gets dived on. The visibility usually ranges from 15’ to 40’ depending on the surface conditions. The Comet is an all-wooden side paddle wheeler that was built in Kingston’s Portsmouth Harbour in 1848. It measured 174’ in length and 24’ wide. On May 14th, 1861, its Captain ignored strong storm warnings and headed out onto the open lake where it collided with the schooner Exchange just east of the Main Duck Islands. A valiant effort was made to bring it back to Kingston but the race was lost about 1-½ miles west of the Nine-Mile Point Lighthouse where it sank to a depth of 80’. It laid here undisturbed for the next 100 years until it was found on September 9th, 1967. It sits fully upright and the midship superstructure remains fully intact including both 40’ diameter paddle wheels. The visibility can average between 30’ to 60’. The Cornwall is an all-steel side paddle wheeler, which was built in Montreal in 1854. It measured 176’ in length and 27’ wide. It enjoyed a long and useful life and spent its last 15 years as the main workboat for a Garden Island shipbuilder. In December 1930 at the age of 76, having finally outlived its usefulness, it was towed out to what is now known as the Amherst Island graveyard where it was scuttled. 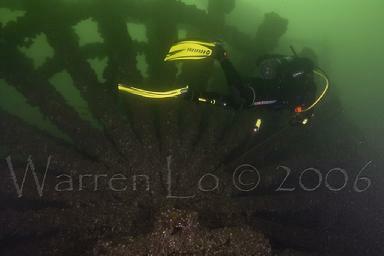 It rests at a depth of 75’ and offers good visibility between 30’ to 60’. This three masted 139’ schooner was built in Muskegon, Michigan in 1882. Like most other sailing ships in this period, it was also long past its prime when at 35 years old, got caught in a hurricane type storm on August 8th, 1917 and sank to a depth of 80’ approximately seven miles S/W of Kingston. Twelve people perished and only two survived, one of the survivor’s being the Captain’s brother. This ship really represents what makes Kingston diving so great. It sits completely upright and is 100% intact which also includes the bowsprit and the chains coming from the bowsprit back to the hull. The ship anchor is also present off the starboard bow. It’s loaded with dead eyes, a few tools, dishes, cooking stove etc. The visibility will range from 30’ to 60’. This old wooden barge rests in 65’ of water in the main channel in front of Kingston’s Psychiatric Hospital. It’s approximately 125’ long and about 25’ wide. The decking is still in place and so are the two huge boilers, piping, coal chutes and machinery. The stern is broken up and the large propeller is fully visible. The visibility can range anywhere from 15’ to 50’ depending on the surface conditions. This is a lessor used site and will only really see action when the open lake is too rough to venture out onto. This wooden tug enjoyed an unbelievable 101-year career. The Calvin Company built it on Garden Island (opposite Kingston) in 1840. It measured 88’ by 20’ and spent almost its entire career as a wrecking tug. In 1941, having finally outlived its usefulness, it was towed out and sunk in 90’ of water about 2 miles southwest of the Nine-Mile Point Lighthouse. The visibility can average between 20’ to 50’. This ship was built in Buffalo in 1887 and measured in at 250’ in length and 40’ in width. Like most other wooden hulled vessels of this period, she became obsolete by the turn of the century. Its last year of service was 1921 after which it sat idle with many of its sister ships in Kingston harbour, many of which would sink and clutter up the harbour. In 1925, a major clean up project was launched by the city of Kingston, which saw the Mapleglen and a dozen other derelicts re-floated and hauled to the waters south of Amherst Island where they were scuttled. This wreck is the best of the lot. The huge boilers are still intact, as is the propeller, its drive shaft etc. 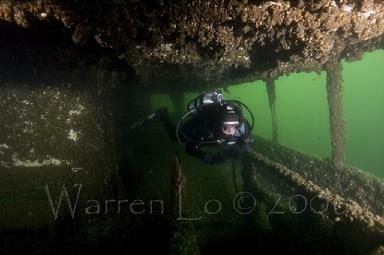 The mooring line is located at the stern and it’s one long swim to the bow and back. 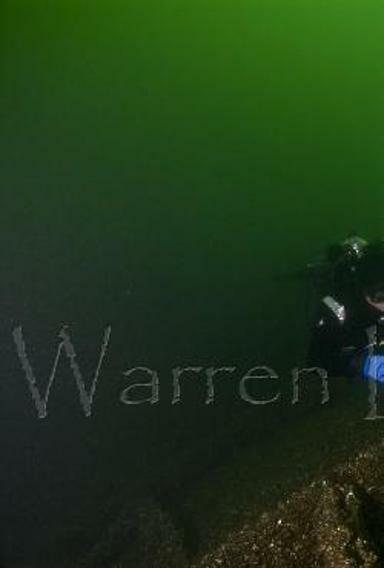 It rests in 75’ of water and visibility can vary anywhere from 15’ to 50’. This beautiful three masted 135’ schooner was launched on July 5th, 1871 in Sheboygan, Michigan. This ship was long past its prime when on September 25th, 1915 at the ripe old age of 46, got caught in a terrible off the S/W tip of Amherst Island while carrying a load of feldspar and sank to a depth of 100’. Area citizens described the storm as a hurricane. All five on board perished. This ship is 100% intact and sits completely upright. It has a fine display of dead eyes and two of the broken masts still lay on the deck. The visibility usually averages between 30’ to 60’. This is one of the more popular yet fewer dove sites that Kingston has to offer. This wreck was one of several derelicts that were hauled out of Kingston’s main harbour in 1925 as part of the clean up effort. It measures 240’ in length and 30’ in width. 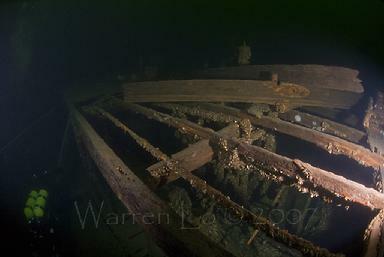 The main attraction here is the fact that its hull is 100% intact and almost all the decking is still in place. It’s a huge awesome site to see. The visibility is constantly changing here and it can range anywhere from 15’ to 50’. Katie Eccles, Annie Falconer, China,Olive Branch and Fabiola. Copyright © 2018 Kingston Dive Charters Inc.